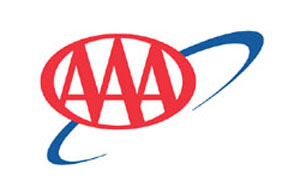 (AAA) – Monday was the conclusion to what was the most expensive April at the gas pump in four years. Nationwide, Americans are paying 42 cents per gallon more than they did this time last year. The national average of $2.81 is the highest in more than three years (November 2014). Florida gas prices averaged $2.74 on Sunday. Click here to view today’s average. Sunday’s daily average is the same as last week, yet 10 cents more than a month ago, and 32 cents more than last year. “Although this was the most expensive April gas prices we’ve seen in years, fuel is still nearly a dollar less than what we paid in April 2014,” said Mark Jenkins, spokesman, AAA – The Auto Club Group. Fuel prices rose even after crude oil and gasoline supplies increased last week. Oil stocks rose 0.1 percent and gasoline climbed 0.4 percent. However, these gains would have been more significant had the U.S. not exported a record amount of fuel. Crude oil exports surged to 2.3 million barrels per day, shattering the previous record of 2.175-million, according to the Energy Information Administration’s latest supply data. The main recipients of U.S. fuel exports were Central and South America, and firms in Europe and Asia. Despite U.S. oil production rates at 14 percent better than a year ago, inventory levels are down 10 percent. Meanwhile, demand slipped last week, contributing to the growth in gasoline stocks. Gasoline demand sank to its lowest level in nearly two months, declining 8 percent from the previous week. Analysts are unsure whether this is a one-week quirk or if high gasoline prices are causing drivers to cut back.